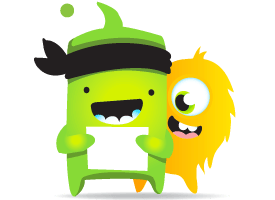 ClassDojo offers a range of features that use technologies like cookies, pixel tags ("pixels"), device or other identifiers and local storage (collectively, “Cookies and similar technologies”) to provide a seamless and safe experience on ClassDojo. First and foremost, we do not use or disclose information collected through Cookies or similar technologies for third-party advertising purposes (including behaviorally targeting of advertising to students). For a full list of all the different tracking technologies we use, please see here. Check back here from time to time to get the latest information about these technologies and how they are used on ClassDojo. Your browser or device may offer settings related to these technologies - visit your browser or device's help material to learn about your options. We may, however, not recognize or respond to browser or device signals around tracking, and changing these settings may impact your ability to use some of the great features on ClassDojo. Below we provide more information about Cookies and similar technologies and how they work. Your browser or device may offer settings related to these technologies - visit your browser or device's help menu to learn about your options (browsers for mobile devices may not offer visibility). For example, you may set your browser to refuse all cookies or to indicate when a cookie is being sent. However, changing these settings may impact your use of some features or services on our Service or Website as they may not function properly without cookies. Cookie management tools provided by your browser will not remove Flash cookies. Learn how to manage privacy and storage settings for Flash cookies here. If you disable Flash cookies, you won’t have access to certain features that make your guest experience more efficient and some of our Services will not function properly. Please note that the choices described above regarding browser-based opt-outs may not apply to opt-outs involving mobile applications. These tell us when you’re logged in, so we can show you the appropriate experience and features. For example, cookies help us remember your browser so you do not have to keep logging into our Service. These help keep ClassDojo safe and secure by supporting and enabling security features and help us detect activity that violates our Terms of Service. For example, we use security cookies to authenticate users, prevent fraudulent use of login credentials, protect user data from unauthorized parties and to help us fight spam and phishing attacks. These help us provide localized experiences. For example, we may store information in a cookie that is placed on your browser or device so you will see the site in your preferred language. These provide functionality that help us deliver products and services and change the way the Website or Service behaves or looks. For example, knowing when you’ve already taken a product tour so we don’t show it to you again and storing preferences to know when you’ve seen or interacted with certain content, and provide you with customized content and experiences! Websites often collect information about how users interact with a website. This may include the pages users visit most often and whether users get error messages from certain pages. For example, we use these cookies to help us improve our Services and Website, in order to improve our users’ browsing experience. Blocking or deleting these cookies will not render the website unusable. These help us help us ensure ClassDojo is operationally performing at a high level, such as by understanding how quickly our Service loads for different users. These are used to understand how teachers, parents, and students use ClassDojo, and thus so we can continue to find ways to make ClassDojo a great experience. For example, we may use these technologies to know which features on ClassDojo are most popular - and which ones need some more love from us! In addition to using our own Online Tracking Technologies, we work with various companies to help us analyze how the Service and Website is used, for functionality and serving content, for advertising and to improve ClassDojo to deliver the best possible experience for teachers, parents, and students. These third parties may use web measurement and customization technologies (such as cookies) in conjunction with the provision of these services. Take a look at our third-party service providers to learn more about them as well as to review their privacy policies. We also set cookies if you don’t have a ClassDojo account, but have visited classdojo.com, to help us protect our Services and the people who use it from malicious activity. For example, these cookies help us detect and prevent denial-of-service attacks and the mass creation of fake accounts. If you have cookies on your browser or device, we read that cookie when you visit a site with our app.